A house, an MUV, your child’s education, a foreign holiday: you could have myriad reasons for applying for a bank loan. The bank generally considers and clears a loan based on your credit-worthiness. Among the factors contributing to a successful application would be your credit report which would be based on your income, employment record, age and value of holdings, prior loan repayment record. Are you responsible enough to make the commitment? A good CIBIL score will speed up your loan application. A good track record of paying your credit card dues in time will get you a high CIBIL score. Make sure your income either rises or remains steady for as long as you need to pay the EMIs for your loan. 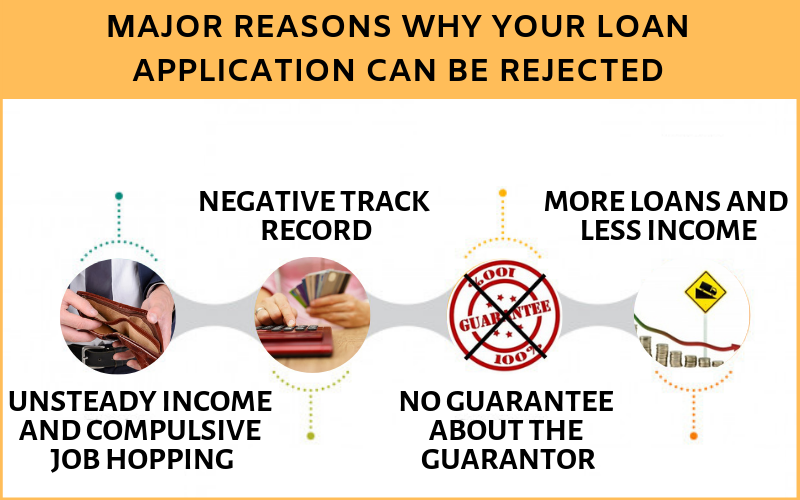 When can your Loan application get rejected? If your credit card or previous loan repayments have a poor track record, your application can be rejected. Thus, a positive report from CIBIL would ensure quick and easy clearance of your application. If you have been juggling between jobs and do not have a good employment record, even if you have a high income at present, your application can be rejected. If someone in the family has debts and a negative rating from CIBIL, your application is liable to be rejected as you share the same address as the defaulter. A guarantor plays a very important role in your loan clearance process. If a guarantor has good credit worthiness, your application will be easily cleared. Just like the guarantor, the co-applicant plays a very important role in the clearance process. If the co-applicant has good credit worthiness, it will increase the probability of your loan sanction. On the other hand, if the co-applicant has got poor repayment history or poor credit worthiness, you loan application may be rejected. If for any reason your loan application has been rejected previously, make sure you have rectified the errors before you file another fresh application. After all, no bank wants to lose its money and officers are accountable to higher authorities. Make sure all your records and ratings are clean before you make a fresh application. 7. Is your sister or friend a co-applicant? Generally, banks do not encourage loan applications where brothers and sisters or friends are co-applicants. However, if parents are made co-applicants, chances of getting the loan approved are higher. If you already have taken more number of loans, your disposable income comes down considerably. As this will reduce your loan repayment capacity, your loan application may get rejected. While some banks used to levy a fine on pre-closure of loans, a majority of them have removed the clause from the loan terms. So, it might be worth liquidating your savings and reducing your loan amount at the earliest. The good part is once you have a good record of loan repayment, you can get approved for another loan from the same or another bank easily. 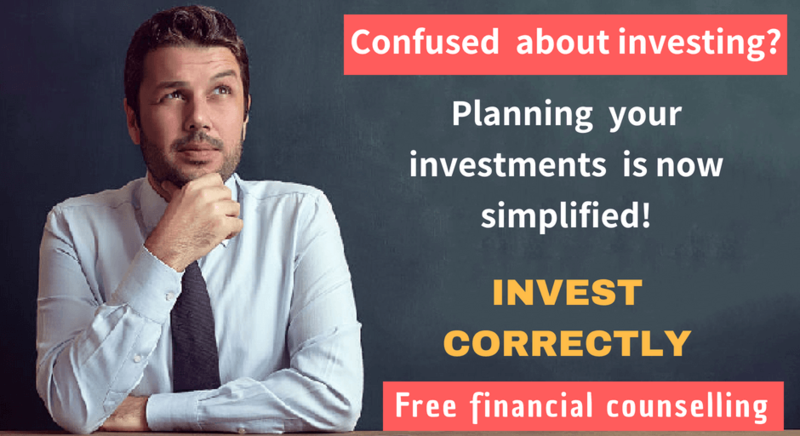 Apart from being credit card smart, if you want to be completely financially smart, then you need to begin with an end in mind. That is you should decide in the beginning itself, what are all the financial goals , you need to achieve at the end. whoah this weblog is fantastic, i love reading your posts. Keep up the good work! How to create a Power of Attorney as an NRI, that will not Backfire? 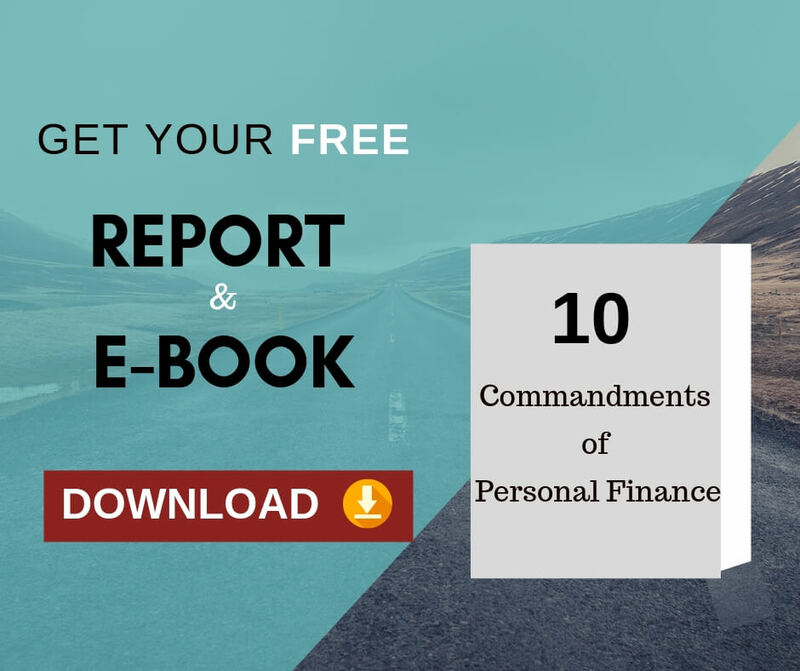 : Key points and a Free downloadable sample Power of Attorney template.